The Cold War stand-off when a Whiskey-class Soviet submarine was stranded on a Swedish rock in the early 1980s. It took eleven days to negotiate its release. 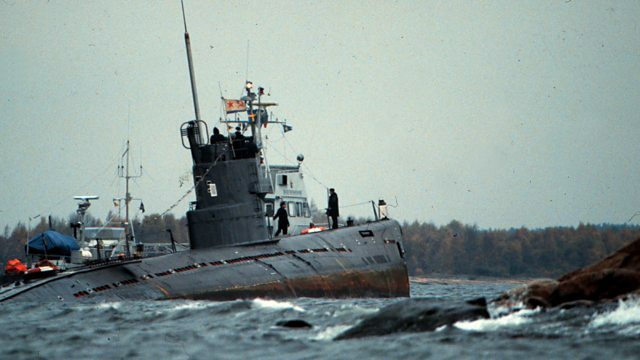 In 1981 a Whiskey-class Soviet submarine became stranded on a rock just off the coast of southern Sweden. For years Sweden had suspected the Soviets of patrolling illegally in their territorial waters. Now they had their proof. It took 11 days of tense negotiation before the submarine was allowed to leave. Tim Mansel speaks to Klas Helmerson, who helped interpret on behalf of the Swedish navy.